… Welcome Into My Gluten Free World! Is there a certain food you’ve been missing, longing for, fantasizing about since you’ve gone gluten free? One that perhaps wasn’t necessarily your all-time favorite, but it’s a food that is distinctly not gluten-free … and you want it? Well, there is for me. It’s pizza! Over the course of my gluten-free food journey I’ve been able to recreate most recipes or favorite foods to fit our gluten-free, dairy-free lifestyle with pleasing and satisfying success. There’s always been, however, something sub-par to the pizzas we’ve tried … the crust. I’ve tried many makeovers of traditional crust recipes. I’ve tried using packaged mixes (some were fairly good). I’ve even done numerous taste tests of ready-made gluten-free pizza crusts. Some of these were not really something I’m that interested in revisiting. I recently discovered a product that has brought delicious, homemade, kicked-up and creative pizzas back into my gluten-free, dairy-free world … Udi’s Gluten Free Pizza Crust. This is the first, and only to date, crust I’ve found that has the perfect chewiness and “tooth” to it. I would consider it a medium-thickness crust, not so much crust that it becomes the dominant ingredient, but enough to provide a substantial base for all the toppings I like to load on. The crust has a “pizza crust” flavor, which is really important in my recipe rule book. It’s not a “grain” flavor, or one that screams of chemical enhancements. It just tastes like a “real flour” crust tastes. It also has a bit of a very mild flour/corn meal type of dusting on it which, again, gives it the “real” appearance and taste. Our favorite way to cook a homemade pizza is to barbecue it on a pizza stone. This can be difficult to impossible with most pizza crust mixes. It worked out perfectly with Udi’s pizza crusts. My Better Half figured out a cooking process that brought heavenly pizza back into our world, and tears to my eyes (yes, literally). And it’s simple. He brushed a thin layer of extra-virgin olive oil over the top surface and outer edges of the crust. Then he heated it on the hot pizza stone for five minutes. At this point, the crust was removed from the barbecue and the sauce and toppings were applied. Back onto the pizza stone for another 8-10 minutes of additional cooking. The result … Ahhhh! Angels singing, I believe I remember hearing. Be sure to stay tuned for my Chicken, Caramelized Onion and Roasted Red Potato BBQ Pizza recipe. It’s my, “You want it? You got it!” answer to the perfect pizza … featuring Udi’s Gluten Free Pizza Crust, of course. Udi's crust is very versatile too, so I’m in the process of creating new recipes to show off Udi’s various personalities. Be sure to watch for these as well. I can’t wait to share. As for the nutrition and food facts about Udi’s Gluten Free Pizza Crusts, they are certified gluten free, dairy free, soy free, and nut free. These crusts do contain eggs. The package, containing 2 9” pizza crusts, states the shelf life as, “7 days on the counter or 6 months in the freezer.” I have let them thaw on the counter from a frozen state, and the taste and performance was just as if they’d never been frozen. So in conclusion, I’m thrilled to say that I’ve welcomed Pizza back into my culinary repertoire with open arms. No longer must I consider pizza a “distinctly not gluten free” food. Thanks, Udi’s! Is there a certain food you're missing in your gluten free diet? What would satisfy your craving? I’m actually very disappointed in Udi’s Gluten Free items. I’m not sure if there is a variety of pizza Crusts, making some thicker than others, but the pizza crusts that I used to buy were ALREADY pretty thin for a pizza shell. The store where I purchase my groceries and other grocery stores I go to that have Udi brand only have this terribly Thin & Crispy Pizza Crusts that are 50% thinner than they were. ???? My step mother said they looked like a sandwich wrap. She hit the nail on the head. They shouldn’t be labeled Pizza Crusts because they don’t function as one. When taking my “pizza” out of the oven after Udi made this change, the pizza was literally too thin for my toppings ( cheese and pepperoni) and bent in half almost making sauce, cheese and the toping fall to the floor. I always use the toaster oven so the bottom bakes up nice and crispy and then the last 2 min I broil the top to brown the cheese a little. Now with the new shells, the shells always end up either burnt or not done enough. The shell cooks quicker than the toppings which makes them something else… NOT pizza shells/crusts. Also, I have to say that Udi Brand is one of the most expensive of all competing G Free brands. If they are considered to be #1 in the gluten free industry, why are they riping off customers and charging the same amount $5.99 for 2 shells (LOL that’s insane) and have decided to make the shells 50% of what they used to be! I’m disgusted! They will see a decrease in sales for skimping on the dough. I’m positive of this. You can’t take advantage of the people that have made your company what it is. Period. Hope Udi get’s their act together and starts thinking about their customers’ satisfaction. I_Have_Crohns, Thanks for your comments. While I agree, I wish there was a thicker pizza crust on the market, (something we can really, really sink our teeth into, right?) I’ve had good luck and been pleased with the way our pizzas turn out. That said, I do agree that these also make great wraps or a good “bread” for a really nice panini. I hope you’ve shared your viewpoints with Udi’s so they have feedback on their products. I think customer feedback is so important in being able to help manufacturers know what we’re looking for in a product. Especially when it comes to specialty foods. Best of luck to you. Be sure to let me know if you have a conversation with them. I’d love to know if they’re working on something like a super thick crust. Oh, yum! Try The Gluten Free Bistro’s pizza crust. Whole grain, non-GMO and allergen-free. Whole Foods Rocky Mtn Region and many independent grocers stocky them. 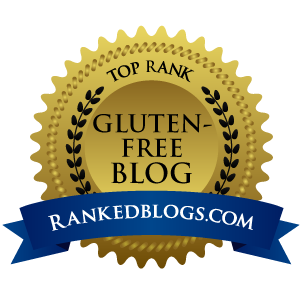 http://www.theglutenfreebistro.com. Thanks for the suggestion, Julie. I checked them out online and the products sound great – especially the pizza crust. Can’t wait to try it!